Michael Jackson is no stranger to the world of videogames, having been featured in a number of his own titles and even reportedly being involved in composing the music for Sega's Sonic the Hedgehog 3. Known as a gamer and a fan of using technology to deliver new entertainment experiences, it’s shocking that it has taken the late King of Pop this long to get his own music game. What’s even more shocking is to find that the title, Michael Jackson: The Experience, is a mostly disappointing (not-so-fresh) coat of paint dumped on one of Ubisoft’s most popular games, Just Dance. While Jackson fans will certainly get a kick out of the tribute, it simply falls short of living up to the legend of the Pop music icon. 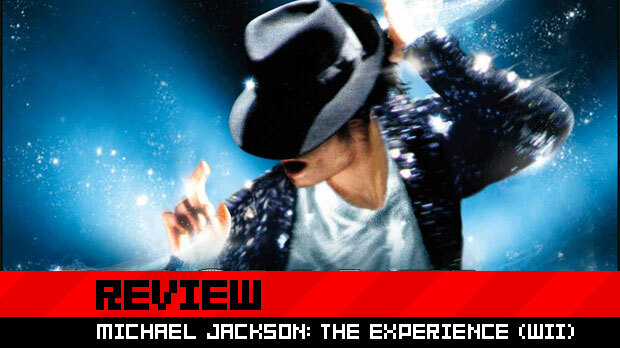 Gameplay wise, Michael Jackson: The Experience mirrors the Just Dance formula to the letter. This isn’t surprising considering the title was developed in collaboration with Ubisoft’s team in Paris, the same responsible for the blockbuster Wii dance titles. While this isn’t entirely a bad thing -- Just Dance manages to be a fun game in its own right, I suppose -- this title simply doesn’t go far enough in building on Jackson’s identity and career to make it truly stand on its own. To the game’s credit, each of the tracks feature authentic Jackson choreography and even matching “venues,” sometimes based on music videos or album artwork. A song like “Thiller,” for instance, opens up with a mausoleum door creaking open as the camera moves out and into a graveyard. Each environment features small animated touches which go a little way in bringing the venues to life, and fans will take notice of and appreciate the little touches. Unfortunately, those touches are few and far between, with most of the venues feeling flat and lifeless beyond the initial tribute to the theme. 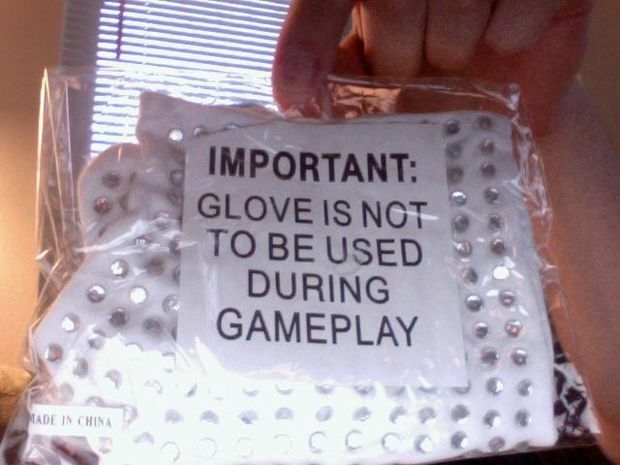 Ubisoft stuffed a glove into the game box, but limits usage. Great for gardening. Gameplay involves holding a single Wii Remote and matching the on-screen movements of stylized, on-screen dancers, including a faux Michael himself. Depending on the performance, either Michael or his back-up dancers’ choreography can be selected, each with their own set of moves. The difficulty of the dances is non-negotiable, too -- it is what it is, with no difficulty options given to the player. Because of this, if you want to get your “Thriller” on, limber up and bring your pro dance skills, because your options are “Inhuman” (for Michael) and “Hard” (for back-up dancers). It doesn’t help that the way the game tries to deliver performance cues to the player can be confusing at best. While you can try to follow along with the on-screen dancers, you’re supposed to be watching stick figures as they scroll up from the bottom of the screen, indicating the upcoming moves. The idea is to match the movements, but the stick figures are sometimes so vague and ambiguous (often completely leaving out movements) that you’re already at a severe and frustrating disadvantage if you’re unfamiliar with the routine. The game also doesn’t feature any sort of practice mode that allows you to slow down and learn the movements, either, so it’s always a trial-by-fire experience. Earning stars on songs will unlock non-interactive movies in the game’s “Dance School,” but most players will find these short vignettes completely useless. Professional dancer will run you through portions of a routine, but they go through the motions so briskly that you’d do just as well mimicking Jackson’s moves on your own. "Dance School" features informational and instructional videos about your groins. While trying to dance along to these familiar routines is actually a good time (even if you’re not doing well, and particularly as a Jackson fan), the game’s scoring system and what it’s actually tracking is nebulous at best. The title’s reliance on the Wii Remote turns out to be a frustrating limitation, especially in the wake of full-body-experience dance games like Dance Central for Kinect. 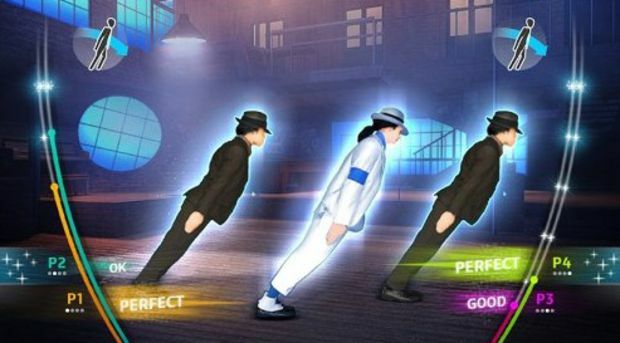 Because Michael Jackson: The Experience simply appears to track Wii Remote position, some of the finer moves in Jackson’s repertoire are just there for show. It’s likely you’ll do your best to match entire body movements (what fun is it otherwise? ), but it’s debatable if the game itself is concerned with you expending that additional energy. Outside of those song-specific venues which draw inspiration from Jackson’s work, the game’s presentation and content is simply passable. There are only two modes -- “Dance” and the aforementioned “Dance School,” which is simply a series of unlockable videos. “Dance” mode merely gives players a choice of songs to choose from, with everything available from the outset. There’s no progression here outside of playing songs at your leisure to earn stars and subsequently unlock the mostly pointless “Dance School” content. Some sort of exploration of Jackson and his career would have gone a long way towards making Michael Jackson: The Experience actually feel more like an “experience” versus an enhanced dance-along DVD. I’ve been a fan of Michael Jackson as a musician and an entertainer for as long as I can remember. (Ask me about the childhood breakdown I had when I requested an MJ impersonator for a birthday party and got a clown instead!) As such, I did get a small kick out of what Ubisoft has cobbled together here, bringing some videogame life to the best moments of Jackson’s career. With The Beatles: Rock Band, Harmonix went the extra mile to create an experience that transcended the music and stood on its own, delivering a work of art for fans and educating new ones. Michael Jackson: The Experience mostly feels like a missed opportunity which could have not only honored the music, but the entertainer himself. As it stands, the game doesn’t really offer enough beyond lackluster fan service and a few short hours of potential amusement.